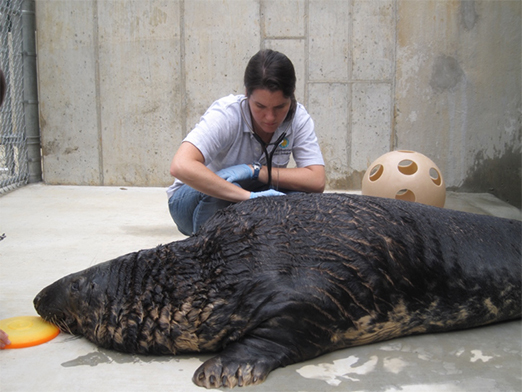 As a veterinarian at the National Zoo, I/we are involved in many international projects, from research projects to capacity building. The IVM program prepared me somewhat for this type of work and gave me an entry point for learning much more in my job. From my position, the Post Graduate Certificate was a good stepping stone for gaining experience in international medicine and field work. 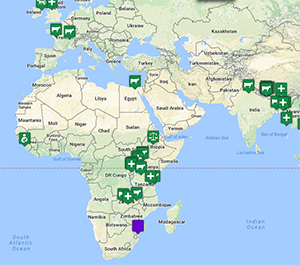 It was valuable in terms of connecting to similarly-minded veterinarians and students who were interested in conservation medicine globally. My summer research project was evaluating the endoparasite load of olive baboons in BINP, Uganda that were living on the periphery of the park and overlapping with human and mountain gorilla populations. It was my first experience in Africa, and being up close to gorillas (and baboons) was my childhood dream come true. Without Tufts, and Dr. Michelle Goldsmith, I would probably still be hoping for that realization to come true. Go for it—what have you got to lose?